Birth date and place 22 Apr 1835 Baldoyle, Dublin, Ireland. Civil Census Residences – England & Wales None. Physical Description Height: 5 ft. 6³/8 ins.Complexion: fresh. Eyes: hazel. Hair: dark brown. 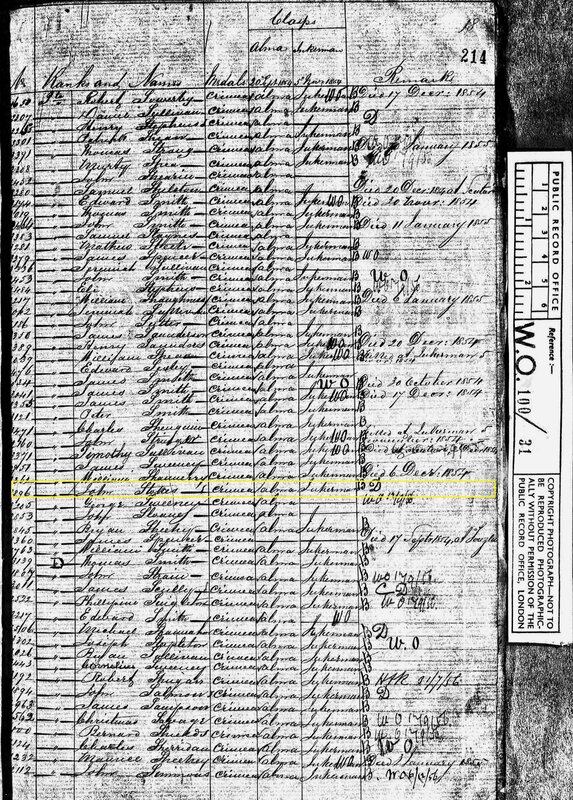 Marriage date and place 9 Jun 1856 Howth, Dublin. Archdiocese of Dublin, County of Dublin. Children Henry b. 1858, Dublin, Ireland. James b. 1862, Dublin, Ireland. William b. 1865, Fremantle, Western Australia. Elizabeth b. 1868, Fremantle, Western Australia. Mary b, 1870, Fremantle, Western Australia. Joseph b. 1873, Fremantle, Western Australia. Rose Ann b. 1878, Fremantle, Western Australia. 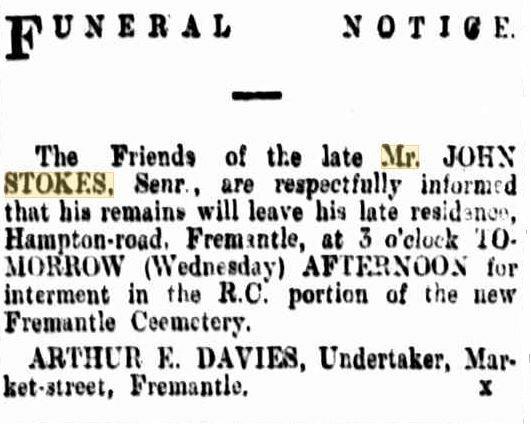 Death date and place 13 Mar 1900, Hampton Road, Fremantle, Western Australia. Burial date and place 14 Mar 1900, Fremantle Cemetery, Western Australia. RC Section MON C, 0047. 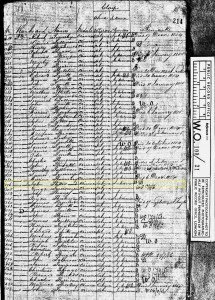 Will and Probate Will: 30 Apr 1897. 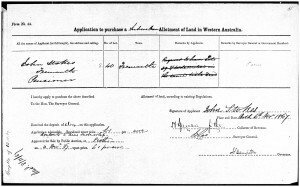 Probate: 24 May 1900 Supreme Court of Western Australia. Assets valued £868 7s. 6d. Death Notices and Obituaries Daily News 13 Mar 1900. West Australian 17 Mar 1900. Western Mail 24 Mar 1900. 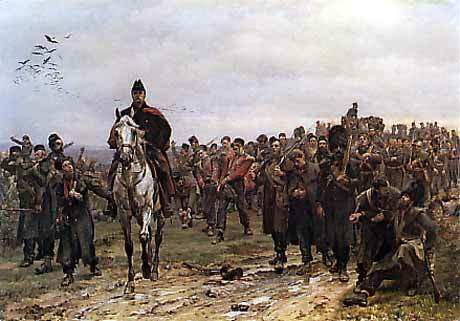 Regiment(s) 63rd (West Suffolk) Regiment. Regiment No. and Rank #2896 Private. Attestation date and place 22 Oct 1852 Liverpool, Lancashire. Service/Campaigns Expeditionary Army in the East (Crimea) 9 months. Medals, Clasps and Badges Crimea War Medal clasps Alma, Balaklava, Inkermann. Turkish Crimea Medal. Casualty/Medical Casualty Roll: Wounded. Second Battle of Inkermann. 05 November 1854. Disabled from gunshot wound of right side of chest, followed by haemoptysis, stiffness of arm from abscesses, ball lodged. Received at Inkermann. Unfit for further service. [Note: the ball was removed in Fremantle, Western Australia by Dr. William Percy Birmingham many years later). Discharge date and place 3 Jul 1855 Chatham. Length of Service 2 years 73 days (not reckoning under-age period). Pension Amount 1/- per diem. Increased to 1/6d. per diem 18 Jan 1881 for service EPF. Status/Occupation Enrolled Pensioner Force until 1880. Land Grant/Purchase 4 Dec 1867 Lot S40 Fremantle 5 acres £1/acre (purchase). 24 Sep 1885 Lot S41 Fremantle 5 acres (grant). 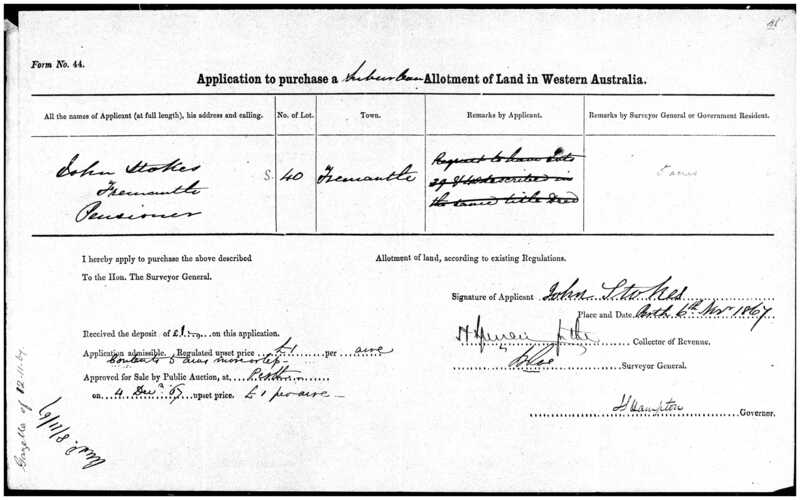 24 May 1900 Fremantle Town Lot 744 (referenced in Probate – may have been the same land as above). ‘Return from the Battle of Inkermann’. 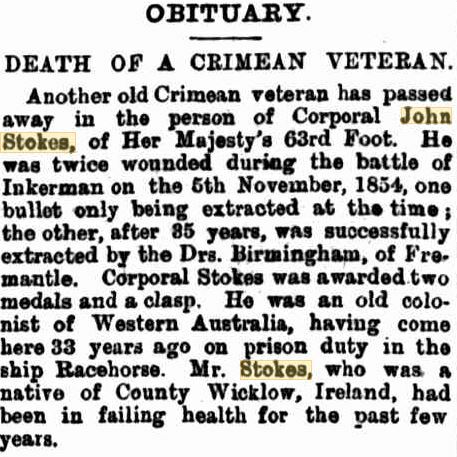 British casualties at Inkermann numbered 2,573 of whom 635 were killed; John Stokes was one of the casualties. 3,286 Russians were killed. John Stokes’ medal roll entries for engagement at Alma, Balaklava and Inkermann (folio 214). The ‘B’ indicates Balaklava. His name is also on a separate roll for Balaklava (folio 193). 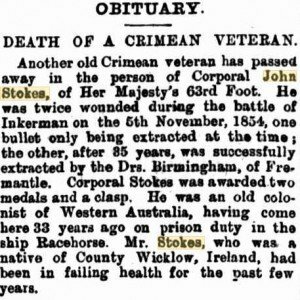 There is no medal roll entry for Stokes for Sebastopol and folio 253 records that he was invalided on 24th March 1855. While his regiment was continuing to fight the good fight at the Siege, Stokes in June 1855, was being examined at Chatham, England for his medical discharge.